Sprout Pharmaceuticals has announced that they will resubmit the New Drug Application (NDA) for flibanserin by the third quarter. 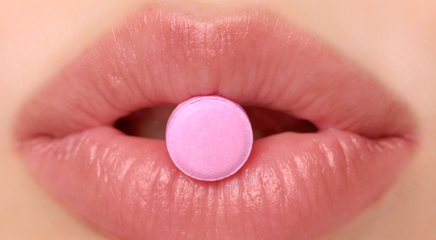 Flibanserin is a novel non-hormonal once-daily treatment for Hypoactive Sexual Desire Disorder (HSDD) in premenopausal women. The FDA issued a Complete Response Letter (CRL) in October 2013 regarding Sprout’s NDA for flibanserin and requested additional Phase I studies to investigate potential drug interactions and driving impairment. A reported 9.8% of women reported somnolence (sleepiness) while taking flibanserin 100mg. The company currently has data on over 11,000 patients. The FDA previously rejected Sprout’s application for flibanserin because the drug showed only a modest effect in their risk/benefit evaluation. HSDD is defined as a persistent or recurrent deficiency or absence of sexual fantasies and desire for sexual activity that causes marked distress or interpersonal difficulty, not better accounted for by a medical, substance-related, psychiatric, or other sexual condition. It is thought to include a mix of social, psychological, and biological factors. Currently, there is no FDA-approved treatment for HSDD in women. Flibanserin is thought to work by correcting neurotransmitter imbalance levels by increasing dopamine and norepinephrine, while decreasing serotonin. For more information call (919) 882-0850 or visit SproutPharma.com.